The first mCCR with continuous flow of oxygen. Max depth 90 mtr (depending on the interstage pressure of the unbalanced oxygen first stage). 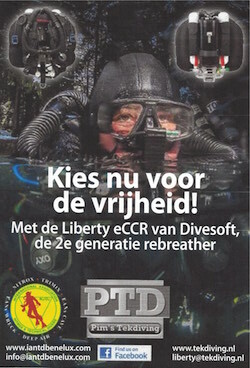 The "KISS-valve" has been used by many other mCCR's and hybrid CCR's.